I love having fresh flowers around the house, but it’s an expensive habit to keep up with especially during the colder months when you can’t bring in clippings from the garden and yard. On a recent trip to Michaels, we found a bunch of options that will continue to brighten up the house long after the leaves fall. This adorable Ashland wooden holder with three apothecary bottles makes a perfect vase for these three little bunches of flowers. The flowers aren’t offered online to show you the exact ones, but are listed as “bush fireworks” on my receipt and are regularly $3.99. I carried the apothecary containers filling it with different options until I found one that worked for our space. I ended up trimming the bottoms a little so they would sit lower in the jars. There were so many options and color choices that it was difficult to settle on the winner. Y’all I love fiddle leaf ficus trees. The only problem is they are pretty finicky. I have a real one that I have been nursing along for a couple years. It got pretty sad looking after I moved it to a different location in the house and hasn’t looked full since. 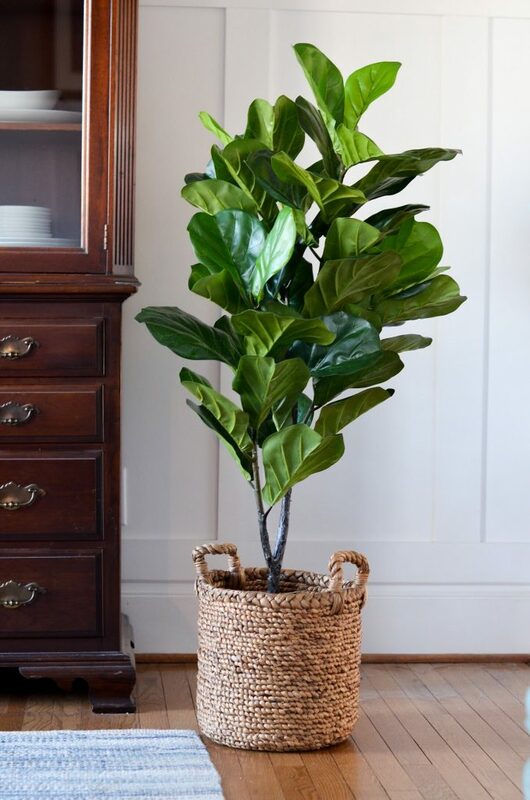 This fiddle leaf ficus from Michaels requires no watering and can be shifted around to different rooms to your heart’s content. 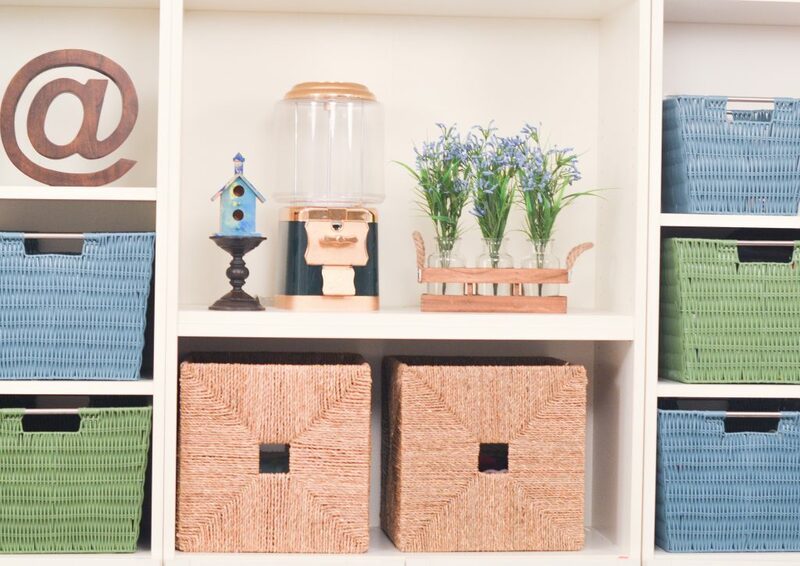 It fits perfectly in this Threshold braided wicker basket from Target. 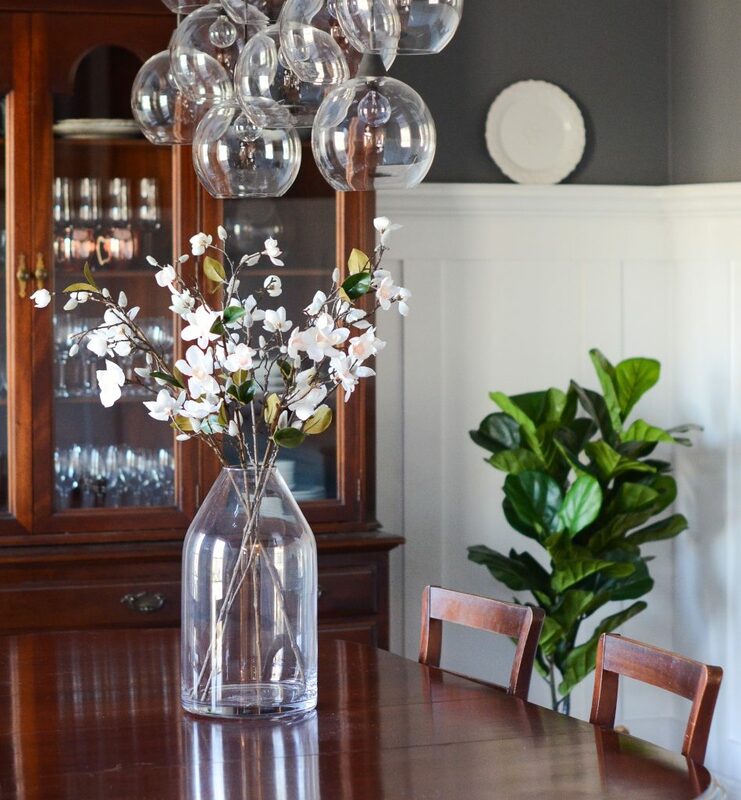 In the dining room, we added a few of these Magnolia Stems in this beautiful glass jug vase. It’s amazing how a simple touch like that adds so much to the room. I snagged three sprigs of these little white berry bush guys. They currently aren’t available online, but they rang up as “bush berry white” and are regularly $3.99 each. Hopefully, that helps if you’re wandering around the store trying to recreate this exact look. 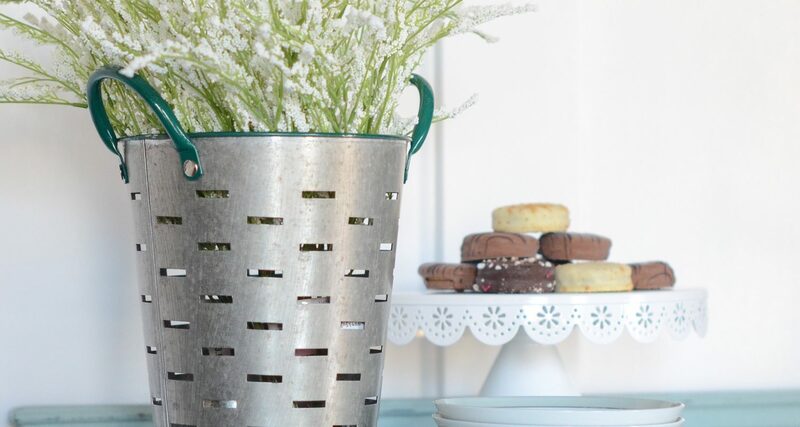 We found our galvanized bucket in the Target dollar spot over the holidays, but Michaels has similar ones here. 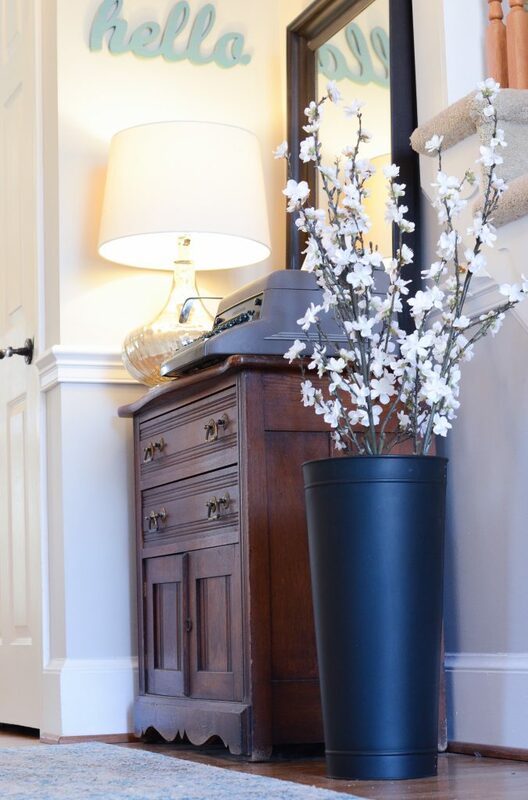 In the front hallway, we added a few peach blossom stems from Michaels in this Hearth & Hand vase from Target. 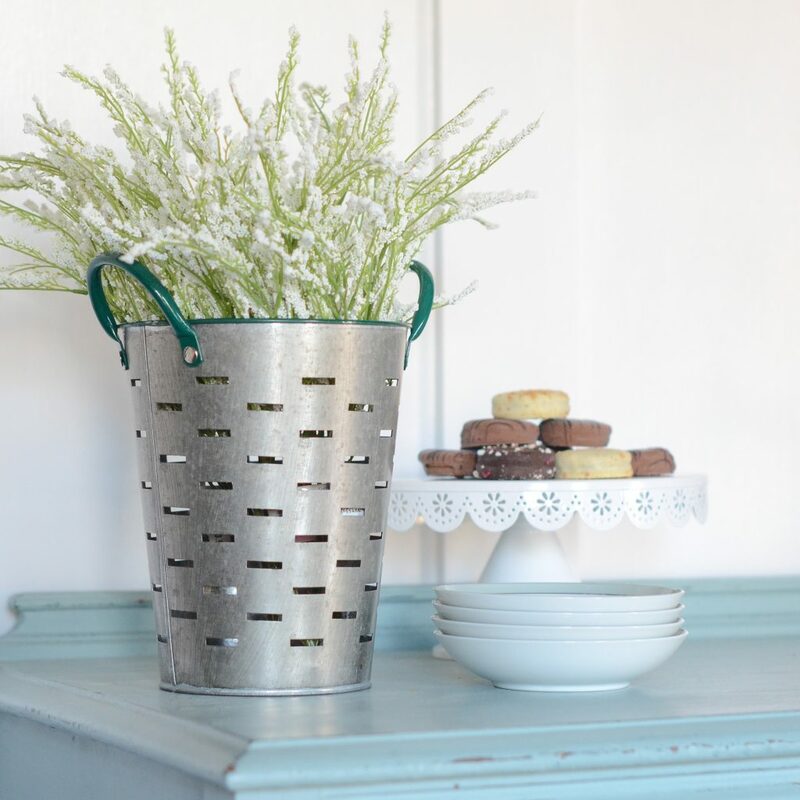 Hearth & Hand also has these dogwood stems available that would also look perfect in the vase. The house seemed pretty empty after the Christmas decorations were put away, but these few additions will help bridge the gap until Spring with absolutely no maintenance required. Happy decorating!